Holistic Health is a unique complementary health care system using a fabulous arrange of complementary techniques and treatments. The word holistic refers to the whole person and signifies the intricate connection between body, mind and spirit. Naturopathy medicine employs the use of ‘nature’ as therapeutic modalities to promote and encourage your body’s innate ability to heal itself. The goal is to bring your mind, body and spirit back into harmony and not just the absence of disease, but to renewed vitality that may have long sense been forgotten. Holistic and Naturopathic approaches work with your body’s innate ability to heal itself. 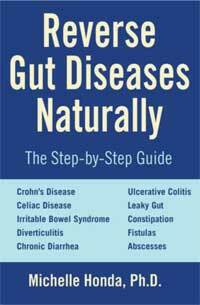 Holistic and natural medicine if fully capable of treating all the stages of illness successfully (from acute to chronic stages) all the while preventing future complaints and body imbalances. Holistic medicine and therapies do not focus solely on managing symptoms as traditional medicine does. It should come as no surprise that modern day living has disconnected us from nature by way of the food we eat, lack of outdoor stimulus and perhaps above all else, the different stressors people are being faced with today. Stress is key in promoting disease and inflammation throughout the body. It upsets the very fragment of our lives and the problem is people are largely unaware of its actual impact on their health. Modern day medicine would recommend a pill to mask its symptoms by deadening our sensory perceptions. This treatment format is functioning and tissue alternating – to the point of permanent damage. Today, industrialized populations are dealing with many causative factors and in recognizing that we are a self healing organism, I have seen it proved over and over again, the body’s enormous capacity to heal itself when properly supported. Holistic medicine involves a lengthy discussion of all symptom complaints, current diet, emotional status, body functioning over all and future goals and aspirations of health and lifestyle. 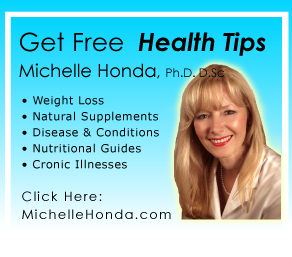 Michelle Honda PhD is a Holistic Doctor (natural health doctor, not an MD & not an ND). 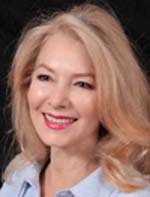 Academically Michelle has completed with honours her doctorate in Holistic Health Sciences (Ph.D. D.Sc. ), all combined 10 fulltime years of completed academic curriculum – based health sciences – to encompass clinical nutrition, botanicals, homeopathy, phyto-chemistry, bio-chemistry, herbal medicine, biology, anatomy, kinesiology and much more. Our Frequently Asked Questions (FAQ) page is very helpful in considering working with Michelle. “Reverse Thyroid Diseases Naturally” (2018). And for those not local to the clinic, Michelle conducts long distance telephone appointments. Largely due to the tremendous success she has with her Crohn’s and colitis patients, it is not unusual to find Michelle sharing her knowledge and wisdom with folks all across the U.S. and Canada.